m1 Advisory on the other hand, helps its clients invest in the appropriate investment vehicles through its wealth advisory services. The company has an experienced team of analysts and relationship managers that are capable of assessing your unique investment needs and suggesting the appropriate vehicles to their clients. This is the philanthropic initiatives of the group are undertaken by the m1 Foundation. The m1 Foundation is currently engaged in designing and developing an investment vehicle that will give back to the farmers that give up their land to large real estate development projects. This would ensure a more ‘responsible’ development model where the people that lose their lands to big real estate companies are not left holding the short end of the stick. 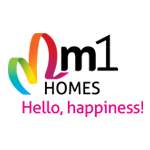 In the future, the m1 Foundation plans to develop more such projects as well as retirement homes for the old and the needy.